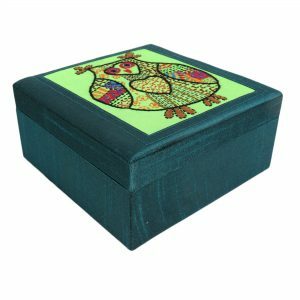 Exquisite Jewellery Box in dupion silk with fine hand embroidery of double fish. 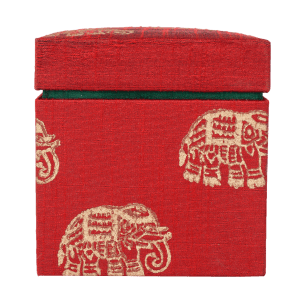 This beautiful box is a perfect gift to anyone who would love to have it on their dressing table and become a Queen in those moments. 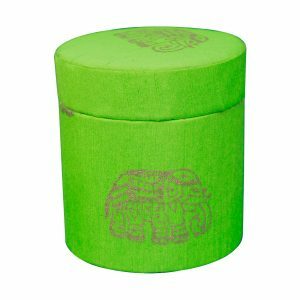 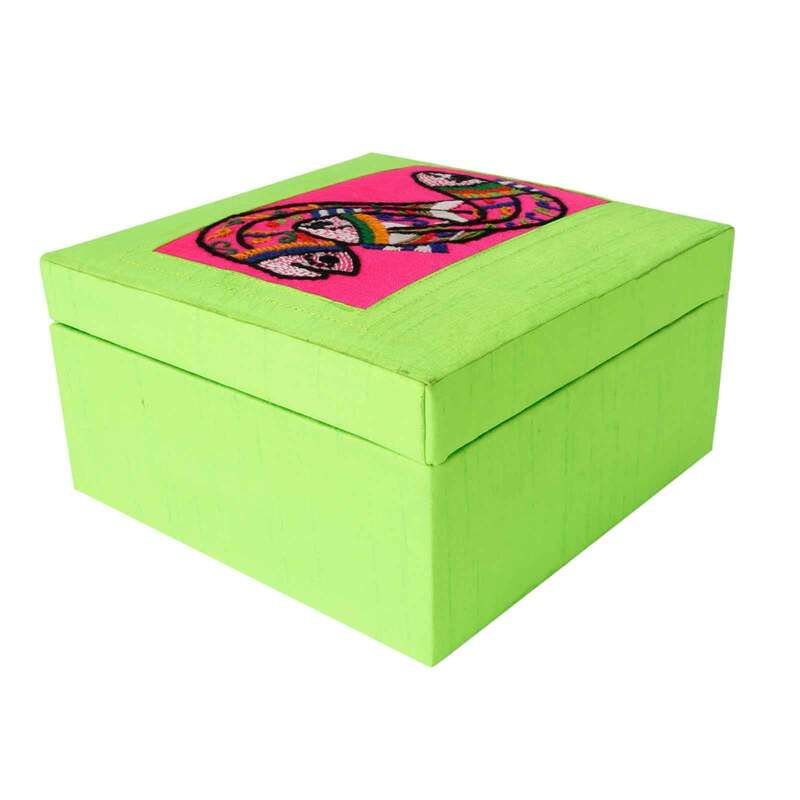 Rich neon green colour adds richness to the whole product. Your choice makes one woman artisans life who spent hours making such a beautiful gift for you. 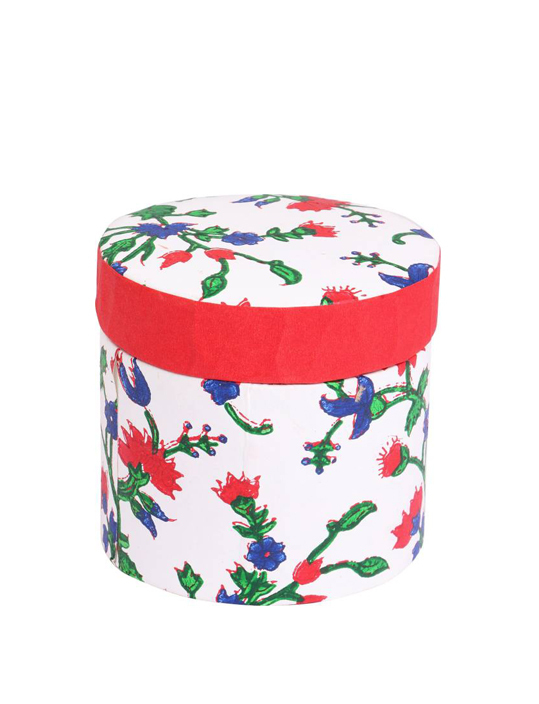 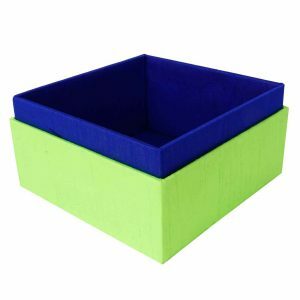 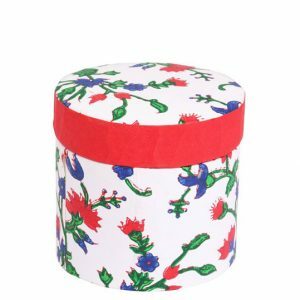 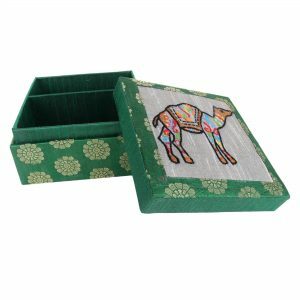 This beautiful handmade jewellery box made from dupion silk and mdf provides a countertop solution to store & organize jewellery for safe-keeping. 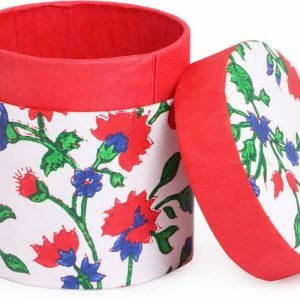 Compact design is perfect for use on dressers, vanity tables and countertops to keep frequently used earrings, bracelets, necklaces and other accessories within reach. 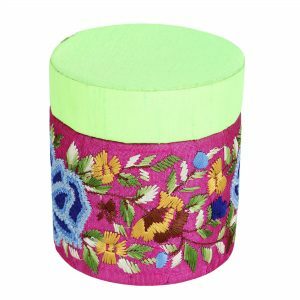 Choose from a variety of styles & designs to match your room’s décor and also contribute to the hard work of our local artisans from Indha. 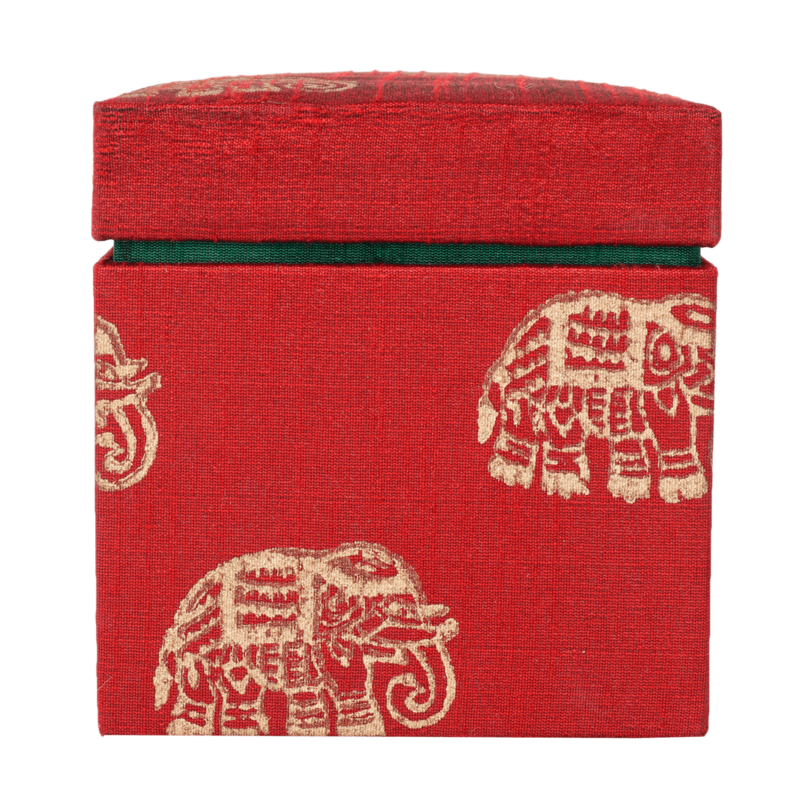 Exquisite Jewellery Box in dupion silk with a fine hand embroidery of an Elephant with a bird. 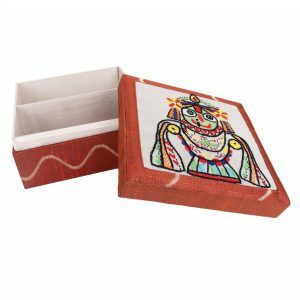 This beautiful box is a perfect gift to anyone who would love to have it on their dressing table and become a Queen in those moments. 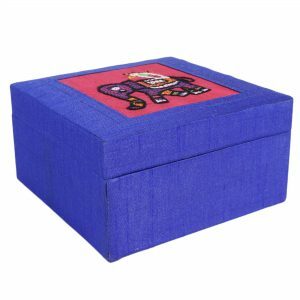 Rich blue colour adds richness to the whole product. 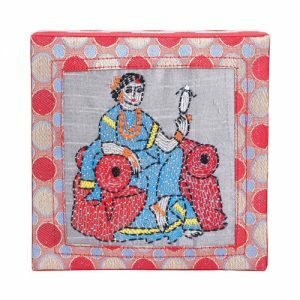 Your choice makes one woman artisans life who spent hours in making such a beautiful gift for you. 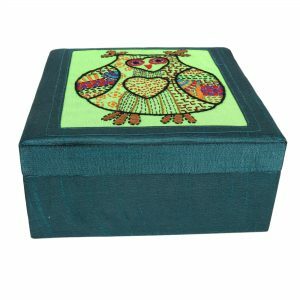 Exquisite Jewellery Box in dupion silk with a fine hand embroidery of the owl. 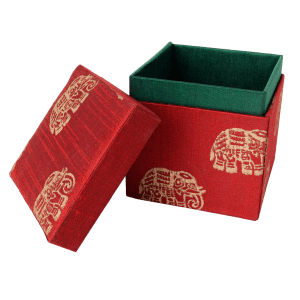 This beautiful box is a perfect gift to anyone who would love to have it on their dressing table and become a Queen in those moments. Rich teal green colour adds richness to the whole product. 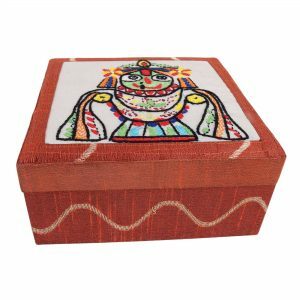 Your choice makes one woman artisans life who spent hours in making such a beautiful gift for you. 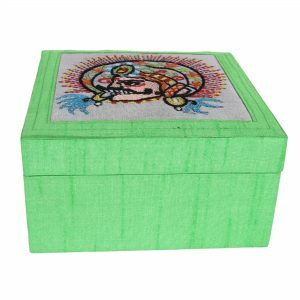 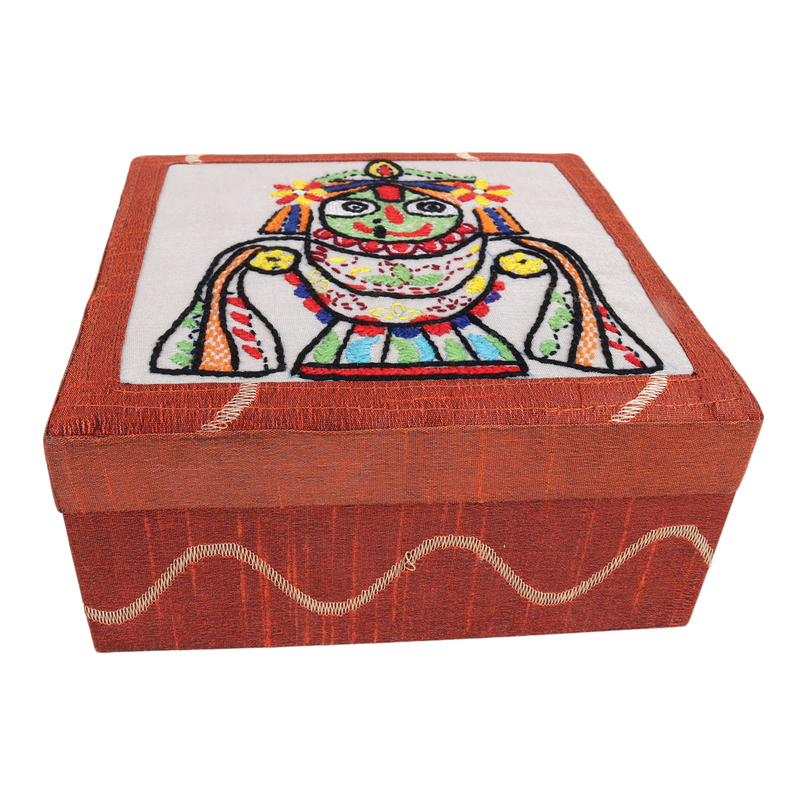 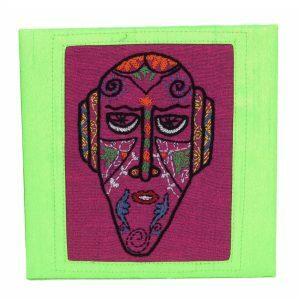 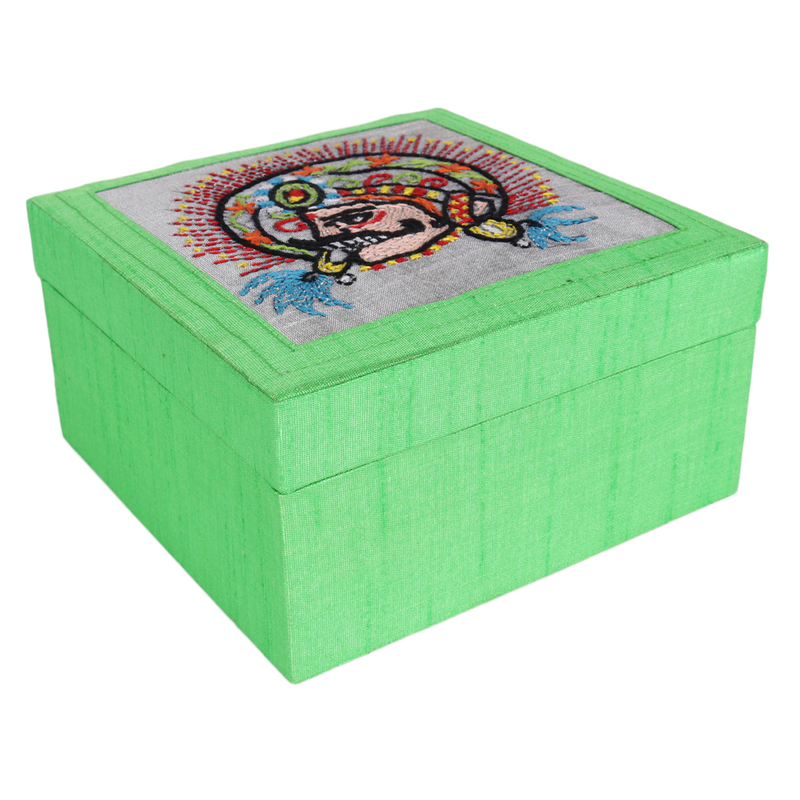 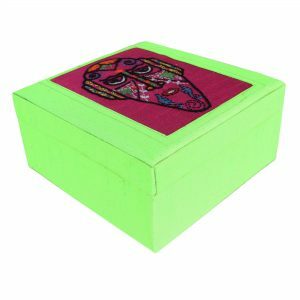 Exquisite Jewellery Box in dupion silk with a fine hand embroidery of a tribal face. This beautiful box is a perfect gift to anyone who would love to have it on their dressing table and become a Queen in those moments. 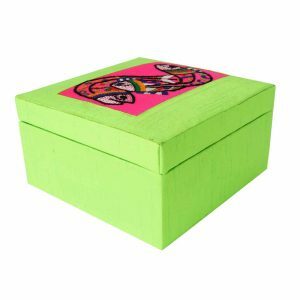 Rich neon green colour adds richness to the whole product. Your choice makes one woman artisans life who spent hours in making such a beautiful gift for you. 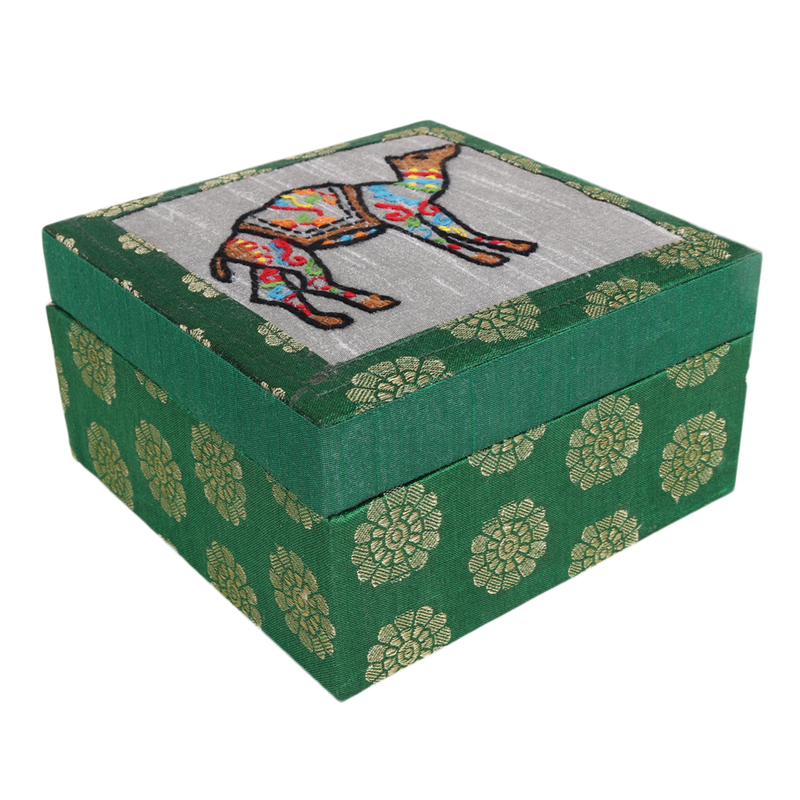 Exquisite Jewellery Box in Brocade fabric with a fine hand embroidery of a camel. 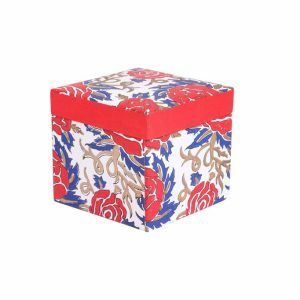 This beautiful box is a perfect gift to anyone who would love to have it on their dressing table and become a Queen in those moments. Rich green colour adds richness to the whole product. Your choice makes one woman artisans life who spent hours in making such a beautiful gift for you. 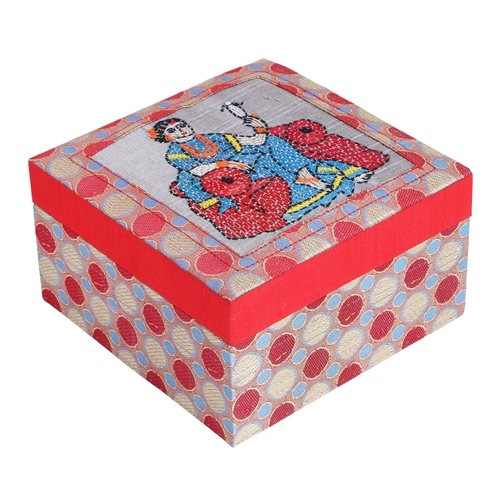 Exquisite Jewellery Box in Silk Brocade with a fine hand embroidery of an Indian Queen holding a mirror inspired from a Hindi Classic Film “Saheb Biwi our Gulam” where Meena Kumari would pose in a similar fashion in front of a dressing table.This Beautiful Box is a perfect gift to anyone who would love to have it on their dressing table and become a Queen in those moments. 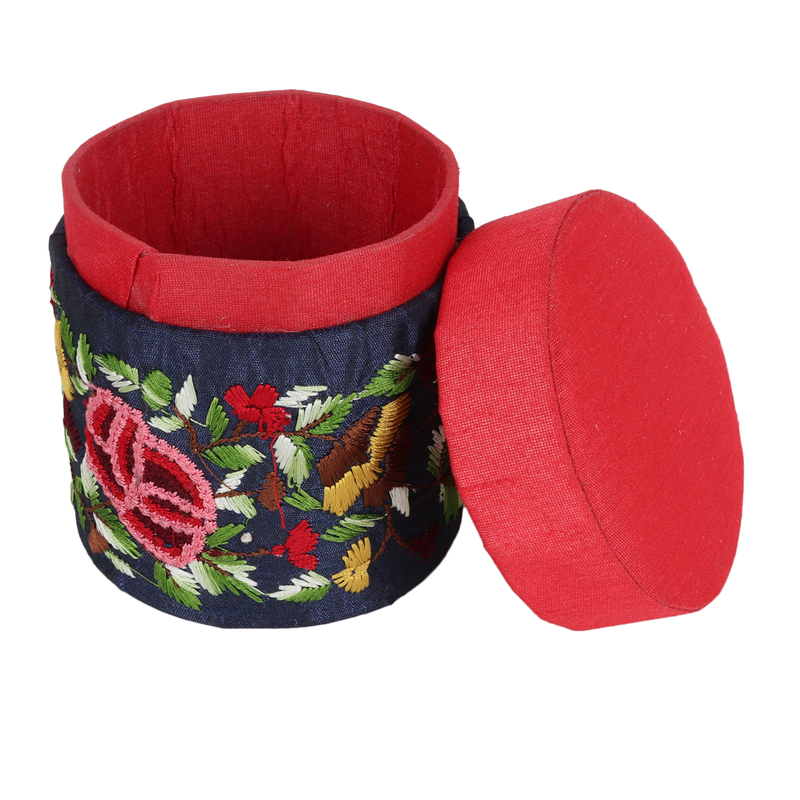 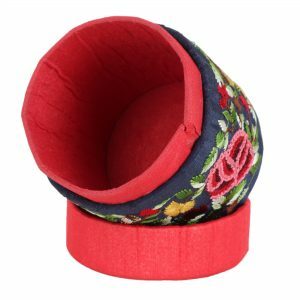 Rich Red Color adds richness to the whole product.Your Choice makes one women Artisans life who spent hours in making such a beautiful gift for you. 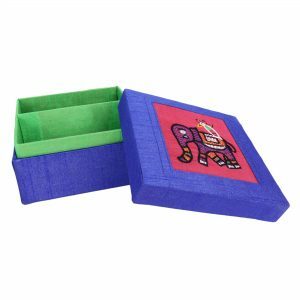 Hand made of Eco-Friendly Recycled Wood.